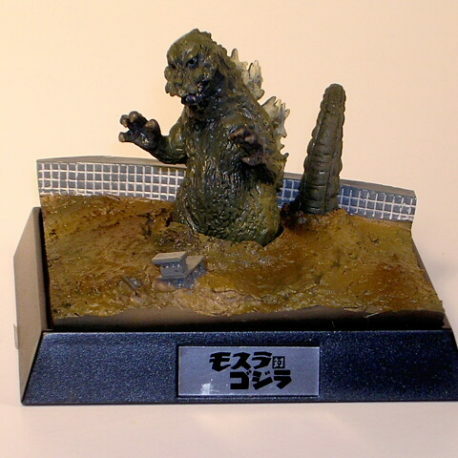 Part of the Godzilla Maikan Diorama set. 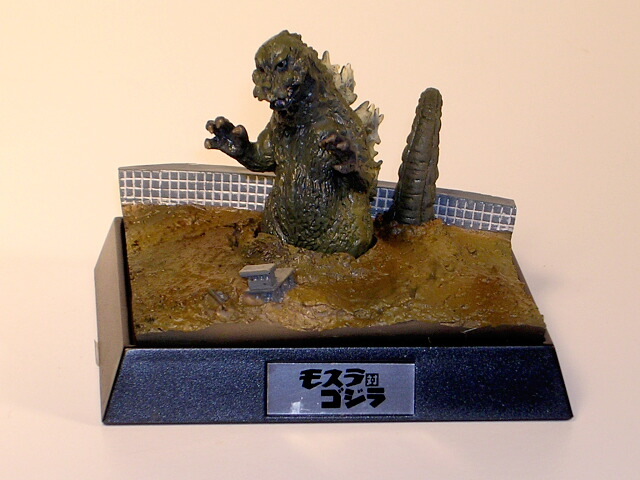 Bandai 2000 based on Yuji Sakai Sculpture from movie GODZILLA vs MOTHRA 1964. Beautifully detailed polystone resin stands about 4 inches by 3 inches. Comes in Box.